It being winter, many of the ingredients currently in season live their lives below the ground, away from the frost. It can feel difficult to do visually spectacular things with root vegetables, but these Celeriac and Goats Cheese Tartlets prove that it’s not as tricky as you might think. 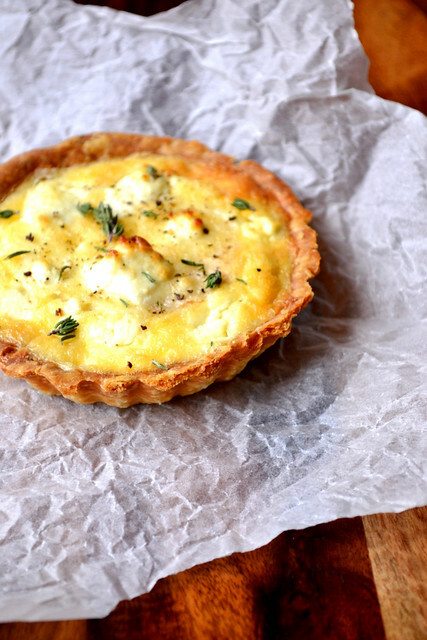 Usually, my first choice for pastry is a plain shortcrust, without the addition of egg. 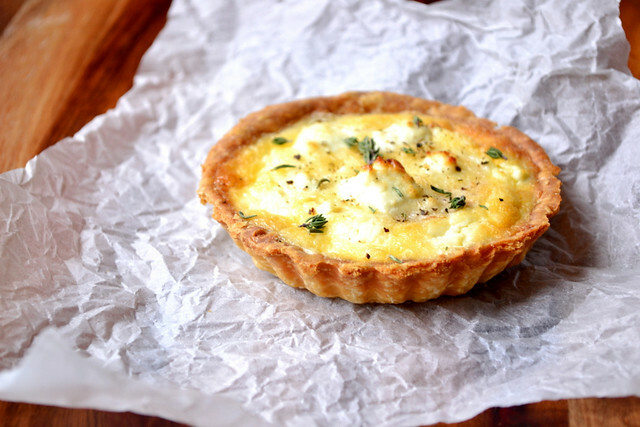 But this can often be harder to work with, especially if you’re making a few delicate tartlets. 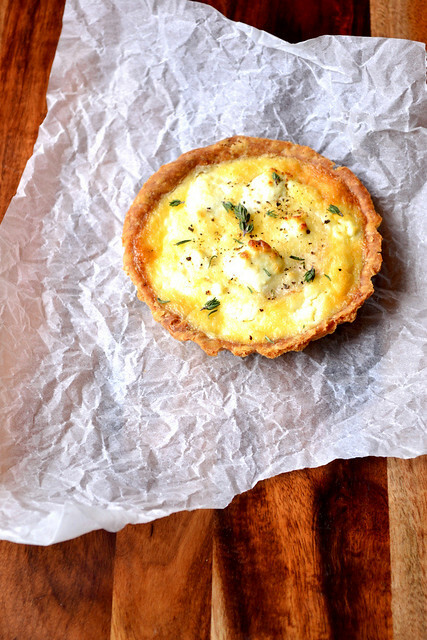 The egg does a great job of binding the pastry, making it more sturdy. The golden colour it helps create never goes amiss either. As far as goats cheese is concerned, you’ll need something soft and creamy, but with a punchy flavour. I’d certainly advise against using hard goats cheese; you want the cheese to come together with the double cream and egg filling, to give a consistently irresistible flavour. And please don’t forget the thyme. It may be just a sprig or two, but it’s a herb with such a powerful, distinctive flavour that it can’t be missed. 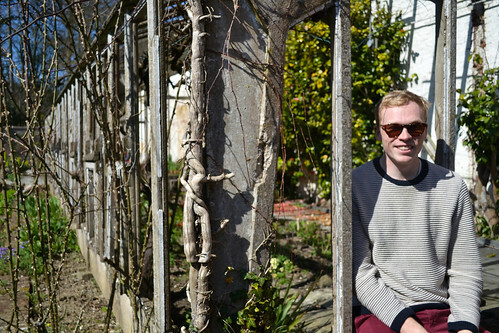 Eschewing the thyme will leave you with an empty feeling of disappointment and regret. Something to be avoided, I think. Cut together the butter and flour until the mixture resembles fine breadcrumbs. Add a pinch of salt and the beaten egg and bring together into a ball. Work the pastry over a few times, before wrapping with cling film. Chill for 30 minutes to an hour. Take 4 cross-sections of a celeriac, around 1cm thick, and cut a disc out of each, large enough to fit in the centre of your tart. Heat the butter in a frying pan over a medium heat. Fry the celeriac on either side until golden brown. While the celeriac is cooking beat together the double cream, egg and a pinch of salt. Set aside. Preheat the oven to 200C/180C(fan). Once the pastry is chilled, divide it into 4 portions and roll out until big enough to line each pastry case. Press firmly into each case with a little leftover dough. Do not trim. Blind bake the prepared pastry for 12 minutes using your preferred method. Trim the pastry. Reduce the oven temperature to 180C/160C(fan). Place a disc of celeriac into each case. Crumble the goats cheese on top of the celeriac and top up with the prepared egg and cream mixture. Bake for 20-30 minutes until puffed up and golden brown on top. Set aside to cool slightly, before serving with black pepper and fresh thyme. Cost: Tarts look expensive. But that doesn’t make them so. Though it depends what your tarts are filled with, generally speaking they are cheap. 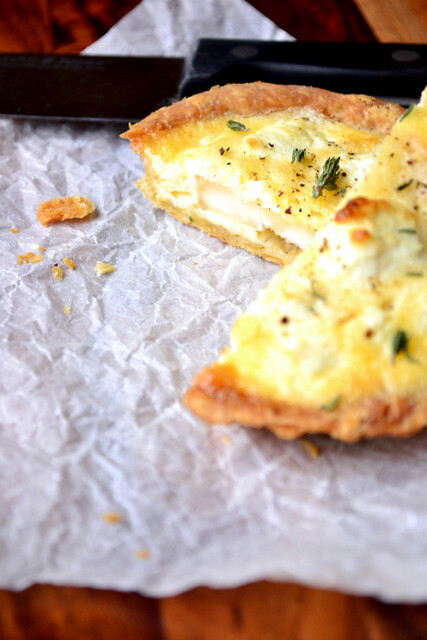 These Celeriac and Goats Cheese Tartlets, for instance, should set you back only £2.50. Perfect for a frugal dinner party. That sounds delicious. I just made pastry for a bakewell tart and deliberated over whether or not to use an egg. In the end I decided not to but your pastry looks wonderful! Thank you – I just wanted the pastry to be a little richer than usual (it was a dinner party). I usually don’t use egg. Yum, this looks absolutely fantastic!! Beautiful – and I always think there’s something rather special about having little individual tartlets! I much prefer individual tarts – seems far nicer to me. This time of year, I put celeriac in everything! So nice to have that fresh taste in the depths of winter. Beautiful tarts! Thank you, Michelle. I made them for a dinner party and were enjoyed by all. They make a really excellent pairing. What a fantastic combination! have to try. Please do – they work so well together.